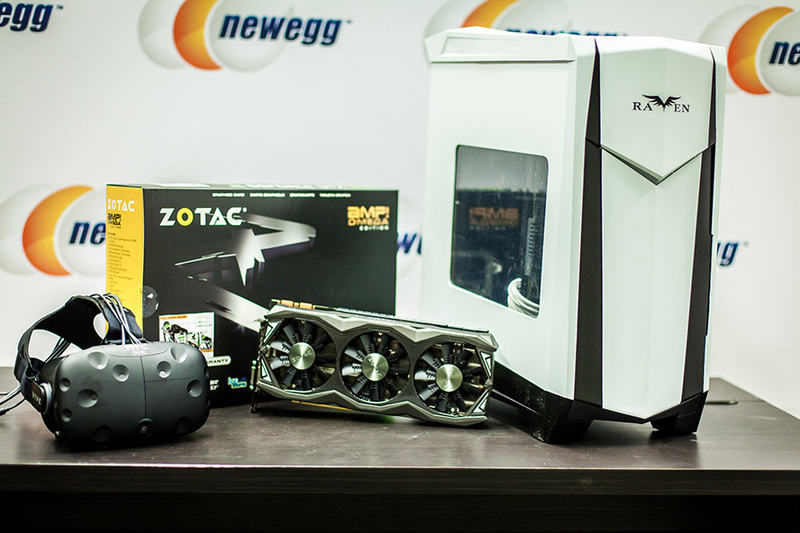 Not sure if your PC is ready for the awesomeness that is VR? Newegg is here to help. What is the difference between minimum and recommended specs? Oculus's official statement is: "We recommend this level of hardware to ensure good performance across the range of games and experiences." What this means is you need a GTX 970/R9 290 level or greater GPU in order to hit 90 frames per second. Unlike normal PC games that will run on lower frame rates, both the Rift and Vive require a constant 90 FPS to work their VR magic and keep people from becoming motion sick. So while Oculus says a GTX 970 is the "recommended" graphics card, it's really the minimum if you want a legitimate VR experience. What about the HTC Vive? The specs for the HTC Vive are essentially the same as those for the Oculus Rift, with the differences coming in a lower minimum level of RAM for the Vive (4 GB+ rather than 8 GB+) and different necessary connections (HDMI 1.4, DisplayPort 1.2, or newer rather than multiple USB ports). For most of the components of your PC, the hardware needs of the Rift and Vive are identical. But I don't want Minimum graphics, I want High and Ultra Graphics! Heck yeah. That's why we're recommending an NVIDIA 980 or RADEON R9 390 or above. Because the Vive and Rift run on PCs and not consoles, games should have graphics options from Low to Ultra. What will Ultra require? Time will tell. But stepping up to a GTX 980 or R9 390 gives you more graphics power and the option to add a second card for full SLI or Crossfire power in the future. Are multiple graphics cards supported? Not yet, but NVIDIA and AMD have both said they're working on it. 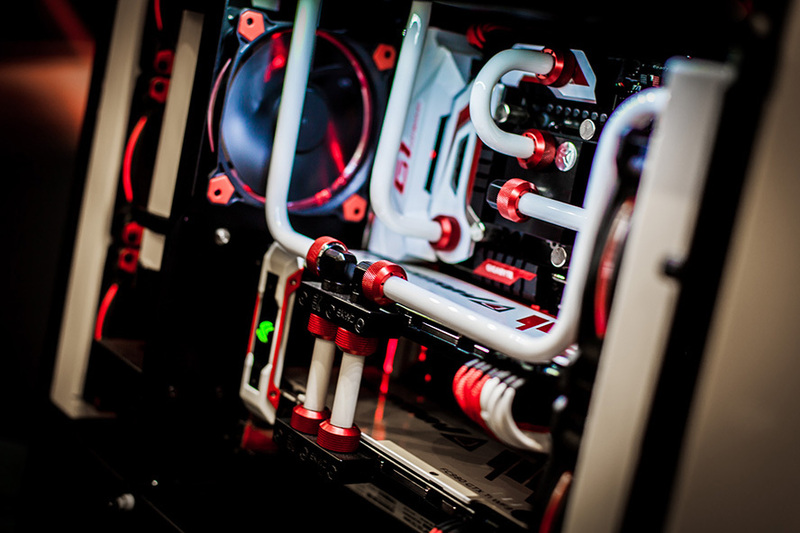 It's a safe bet that SLI and Crossfire support will happen shortly. VR isn't as picky about CPUs as it is about graphics cards. For CPUs, the fourth gen i5-4590 is the minimum requirement. We won't have a complete picture of CPU requirements until the Rift and Vive launch and more testing can be done. But if you choose a current generation i5-6400 or above, you'll be good to go. For RAM we recommend 16GB or above. Again, the Oculus specs are lower at 8GB, but 16GB is used pretty much across the board in demo systems. There's no real reason to upgrade your power supply unless it doesn't have the juice to power your new graphics card. If you're running 600 watts or above, you're probably good. For motherboards, there's no reason to upgrade unless you're upgrading your CPU. 6th Gen Skylake CPUs like the i5-6600 or i7-6700 need an LGA 1151 socket motherboard, so older 1150 sockets won't work. 5 ways to enjoy VR that aren't video games Virtual reality is a reality which is no longer virtual.